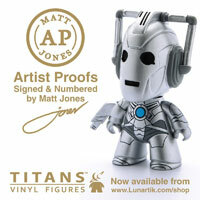 Anyone spotted these new figures in any shops yet? I would love to have a mutant scoop dalek, not in 3.75 but in 5in. Well, it is money to make it affordable for children to play. 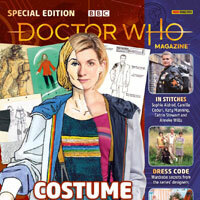 Meh, I’d prefer Amy Pond’s costume from ‘Asylum of the Daleks’, but I’m not too concerned about which one I end up with. Tenth Doctor in blue suit? Meh, I prefer the brown suit, but whatever. Dalek w/scoop? 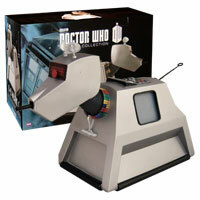 Eh, I GUESS I might get it, but it feels kind of stupid to release this one before the standard 60’s Dalek. Twelfth Doctor is the most interesting figure in this wave, but then again, they could release a Cyberman with black handles and it could still be the most interesting figure in this wave. 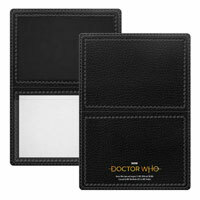 Twelfth Doctor is a re-release. They could have realese a caretaker variant instead. Are his converse red like in the show? Yeap, They are his red high top Converse from the show. 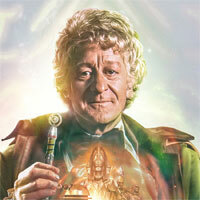 So is the 12th doctor just a repackage? It would be nice to see some new figures for a change instead of boring repaints with slight variations !!!!!!!!! The mutant scoop Dalek is, in a way. If you don’t like them, don’t buy them. Nobody’s forcing you to. 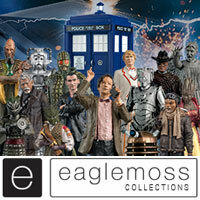 Impart from the 12th Doctor these look like GREAT FIGURES! 10 and Amy were the best figure in wave 3 and the daleks are the best of them all! 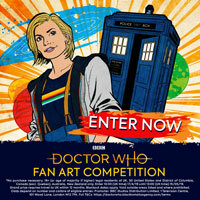 And finally we get a proper picture of the 12th doctor on back of box! Isn’t there a Skovox Blitzer coming out with that wave? 10th and Dalek out of stock!!! Amy is also out of stock. Is it a new 12th? Coincidence, I was just about to report on these. 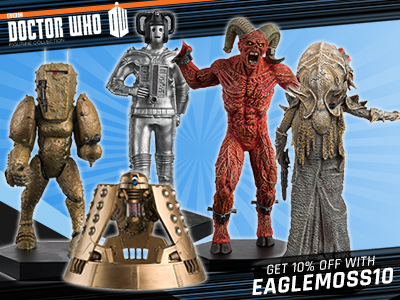 My local collectors shop has these along with the green coat eleventh and Gold Supreme Dalek but looking on the cardback, the gold dalek and green eleven belong to the first wave (asylum dalek, Amy, grey suit 10th etc). He said he was expecting another wave nd of Nov/mid Dec including the Skovox Blitzer that was confirmed by Al along with a 3rd Amy variant, A 12th Dr in pink shirt and a Silurian warrior of all things! also including the gold dalek and green coat 11. Yeah, probably part of the heritage line. Mind you they can get a few variants out of that I suppose. I have no idea how he got to know this. I didn’t think they released information on what is included in the wave to retailers (such as supermarkets etc). 12th dr in.. pink shirt? Also that’s a little sad there’s no Mummy or Teller figure, although a Mummy would be perfect to go with one of those display sets. Being it only really needs arm articulation and feet posed in a walking stance. A little independent store in Grimsby, Lincolnshire. They mainly focus on comics but do a section of figures etc. starrider? how much does he sell them for? No not starrider, they haven’t had the new scale figures in since eave 2.
never heard of it wheres it near? A 3rd Amy varient. Really?! At this rate we’ll get more Amy’s than Clara’s! Not that I mind Amy, or think the figure is anything below awesome, I mean 1 figure of her is good, as were getting a different scale now, but her character is over now. Why are we still getting loads of figures of her?! judooning I have been everywhere in Grimsby and Cleethorpes near the sea front and I cannot find any such shop. can you please give me more details. no one I know has heard of it and google does not bring anything up. 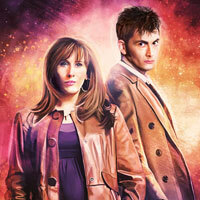 Isn’t the 10th Doctor the one that has already been released? Now has a blue suit. You can try Argos and Boots too but Argos can be a really frustrating place. Trust the mutant scoop Dalek to be the one that’s all sold out. Am I the only one who actually likes variants? some variants are fine and worth having, but im my opinion most of the time their for suckers with a collection/hoarding complex. “oh look the exact same figure I already have sculpt and all, with a different paint job i MUST have it” LOL..
As long as they’re not too rare, I’m fine with variants. Daleks are best! 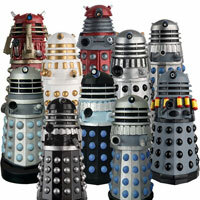 Agreed, I really like dalek variants. If I had the money I’d do sooooo much army building. By the way, hope these get more available soon, liking the look of them. I just wonder if they could rerelease the same Amy with different colours, did they bother to paint the inside of Capaldi’s coat red this time or just rereleased the previous figure? Also, what’s up with 10th coat? It seems warped on the left side. I really hope it’s the prototype version however if you look at the back of the box for those figures it seems it will be a standard re-release. Really, are they still milking the wave 3 figures? Couldn’t they focus on wave 4 now that series 8 has been aired? 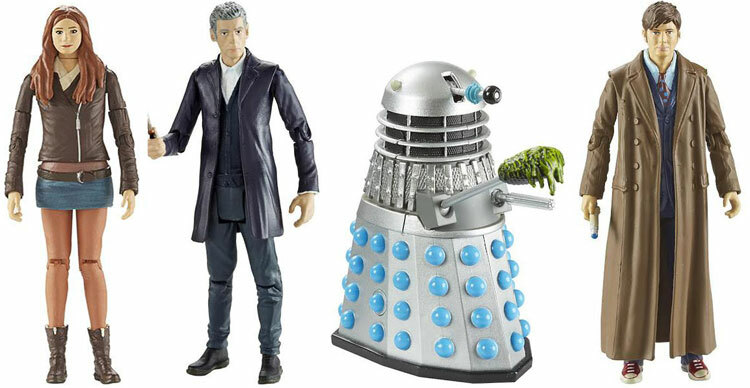 The change into the 3.75″ was supposed to bring freshness to the line…actually what they are doing is the same as they did for the 5″ figures, variants over variants, plenty of Daleks (oh yes, they sell well! (?) ) and very scattered releases. The figures still remain of good, but not excellent, quality, considering the more affordable price, but I think things could be much better. I thought the green coat Eleventh Doctor, gold Supreme Dalek and Skovox Blitzer were supposed to be in this wave? What new releases? These are rereleases with some new paint or reeeaallly slight mods. Also, Christmas is comming, people would like to buy some stuff. And I know Christmas is coming, that’s why I wrote ‘Although many would disagree’.